A cross-disciplinary team is calling for public discussion about a potential new way to solve longstanding global ecological problems by using an emerging technology called "gene drives." 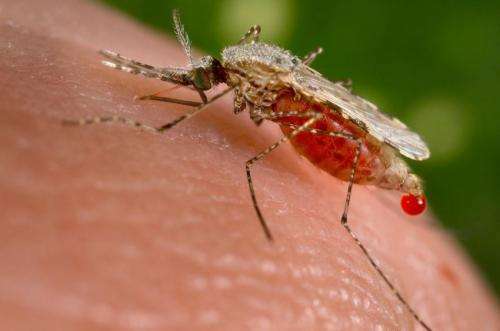 The advance could potentially lead to powerful new ways of combating malaria and other insect-borne diseases, controlling invasive species and promoting sustainable agriculture. Representing the Wyss Institute for Biologically Inspired Engineering at Harvard University, Harvard Medical School, Harvard School of Public Health, the Massachusetts Institute of Technology (MIT), Boston University, the Woodrow Wilson Center, and Arizona State University, the team includes scientists working in disciplines ranging from genome engineering to public health and ecology, as well as risk and policy analysis. Engineered gene drives are genetic systems that circumvent traditional rules of sexual reproduction and greatly increase the odds that the drive will be passed on to offspring. This enables the spread of specified genetic alterations through targeted wild populations over many generations. They represent a potentially powerful tool to confront regional or global challenges, including control of invasive species and eradication of insect-borne diseases such as malaria and dengue. The idea is not new, but the Harvard-based researchers have now outlined a technically feasible way to build gene drives that potentially could spread almost any genomic change through populations of sexually reproducing species. "We all rely on healthy ecosystems and share a responsibility to keep them intact for future generations," said Kevin Esvelt, PhD, Wyss Institute Technology Development Fellow and lead author of two papers published this week. "Given the broad potential of gene drives to address ecological problems, we hope to initiate a transparent, inclusive and informed public discussion—well in advance of any testing—to collectively decide how we might use this technology for the betterment of humanity and the environment." Following discussion of the technology's widespread implications at an NSF-sponsored workshop organized by the Woodrow Wilson Center and MIT in January 2014, the team wrote two related papers. The first, published in eLife, describes the proposed technical methods of building gene drives in different species, defines their theoretical capabilities and limitations, and outlines possible applications. The second, featured in Science, provides an initial assessment of potential environmental and security effects, an analysis of regulatory coverage and recommendations to ensure responsible development and testing prior to use. The new technical work in eLife builds upon research by Austin Burt of Imperial College London, who, more than a decade ago, first proposed using a type of gene drive based on cutting DNA to alter populations. The authors note that the versatile gene editing tool called CRISPR, which was recently co-developed by some of the same researchers at Harvard and the Wyss Institute and makes it possible to precisely insert, replace and regulate genes, now makes it feasible to create gene drives that work in many different species. "Our proposal represents a potentially powerful ecosystem management tool for global sustainability, but one that carries with it new concerns, as with any emerging technology," said Wyss Core Faculty member George Church, PhD, a coauthor on both publications. Church is also a professor of genetics at Harvard Medical School, and professor of health sciences and technology at Harvard and MIT. Esvelt noted that the genomic changes made by gene drives should be reversible. The team has outlined in the eLife publication numerous precautionary measures intended to guide the safe and responsible development of gene drives, many of which were not possible with earlier technologies. "If the public ever considers making use of a gene drive, we will need to develop appropriate safeguards. Ensuring that we have a working reversal drive on hand to quickly undo the proposed genomic change would be one such precaution," he said. Because the drives can spread traits only over generations, they will be most effective in species that reproduce quickly or can be released in large numbers. For insects, it could take only a couple of years to see a desired change in the population at large, while slower-reproducing organisms would require much longer. Altering human populations is not feasible because it would require many centuries. Gene drives could strike a powerful blow against malaria by altering mosquito populations so that they can no longer spread the disease, which kills 650,000 people every year and sickens hundreds of millions. They might also be used to rid local environments of invasive species or to pave the way toward more sustainable agriculture by reversing mutations that allow particular weed species, such as horseweed, to resist herbicides that are important for no-till farming. The innovative nature of gene drives poses regulatory challenges. "Simply put, gene drives do not fit comfortably within existing U.S. regulations and international conventions," said political scientist Kenneth Oye, PhD, author of the Science paper and director of the MIT Program on Emerging Technologies. "For example, animal applications of gene drives would be regulated by the FDA as veterinary medicines. Potential implications of gene drives fall beyond the purview of the lists of bacteriological and viral agents that now define security regimes. We'll need both regulatory reform and public engagement before we can consider beneficial uses. That is why we are excited about getting the conversation on gene drives going early." "Many different groups and the interested public will need to come together to ensure that gene drives are developed and used responsibly," said James P. Collins, PhD, an evolutionary ecologist at Arizona State University and senior author of the Science paper. Collins was formerly the assistant director for biological sciences at the National Science Foundation. "Understanding how populations and ecosystems will respond to different alterations and addressing potential security concerns will require sustained multidisciplinary work by teams of biological engineers, ecologists, instrumentation specialists, social scientists and the public," Collins said. "The eLife and Science articles provide a model for the next steps that need to be taken."